Students in the School of Theoretical and Applied Science have opportunities to conduct research with faculty mentors in every discipline represented in the School. Student researchers can register for independent study, or TAS Research Honors. After a year of research students can be nominated to join Sigma Xi (link to “How to become a Sigma Xi member), the National Research Honors Society. The Sigma Xi Research Showcase is the venue for TAS research students to present their research. It includes a talk by a Sigma Xi Distinguished Lecture Series. Students will have the opportunity to present posters describing their undergraduate research, scholarship, and creative activities performed under the supervision of Ramapo College faculty members. The 2019 Sigma Xi induction of new members will also take place. 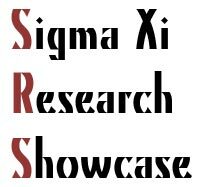 The 2nd Annual Sigma Xi Research Showcase will be held on April 17, 2019 in Friends Hall. Registration: https://ramapo.az1.qualtrics.com/jfe/form/SV_7QkUC2oxPuqkAfj ALL attendees must register before March 27. If you are interested in becoming a Sigma Xi member please contact Dr. Monen (jmonen@ramapo.edu).